Everyone has that one memorable thing that always brings back their favourite childhood memories. For people like myself who grew up at the arcades and playing classic SNES games, the 8-bit art style is that staple of our childhood. Pixel art is created by colouring one pixel at a time to create a larger image as a whole, like a mosaic (or those coloured beads you have to iron). 8-bit art started because of technical limitations on computers and has stayed around because of the nostalgia it brings with it. 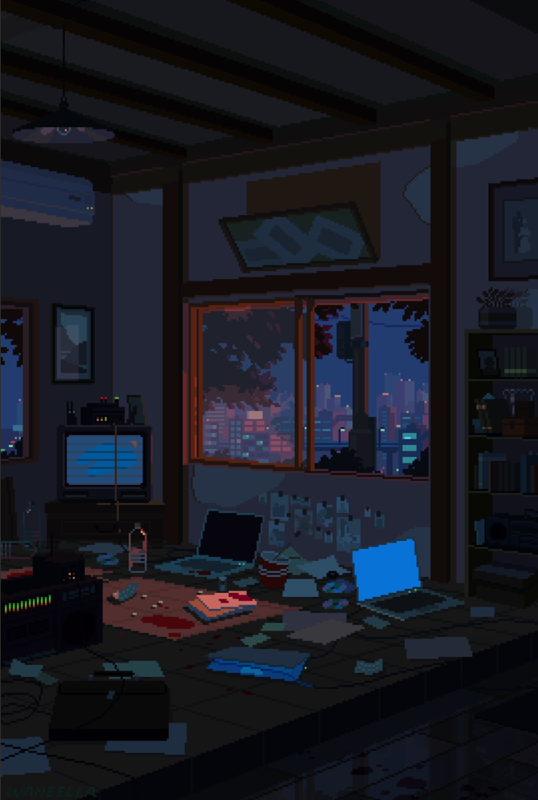 These artists give perfect examples of what you can achieve with pixel art, whether it’s a beautiful landscape or a simple trip down memory lane. Ariel Belinco creates graphical art designed to tell a story and in this fantastically detailed pixel design titled ‘“Theseus and the Minotaur” you can see just how well he achieves that. 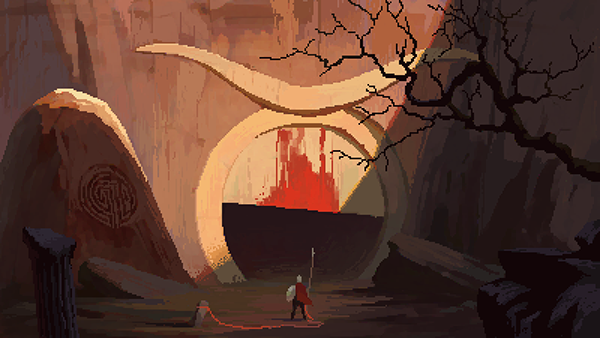 Wanella creates wonderfully in-depth landscapes using pixel art and uses animation to give life to her work. One pixel at a time she creates a living, breathing, world. 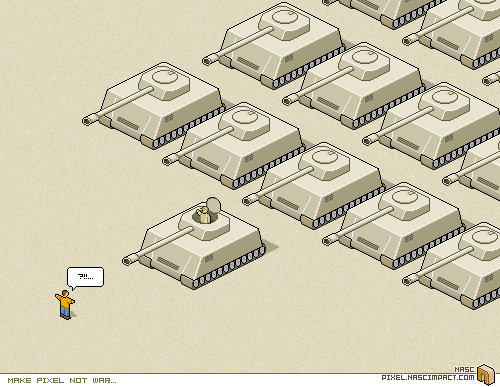 This design by Nasc is a reimagining of the famous picture from the Tiananmen Square protests in pixel form. Nasc only creates pixel art in his spare time, but he certainly has a talent for it. Game designer Marty Guerero creates pixel art and 8-bit designs reminiscent of the old video games of our childhoods. He frequently shares images from games he’s working on which share his pixel art designs. 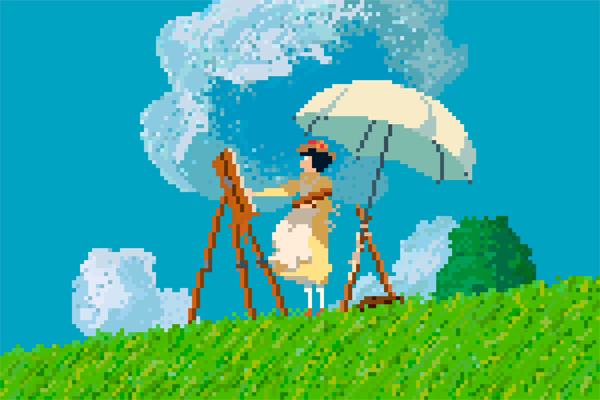 Graphic designer Richard J. Evans created a series of pixel art designs based on the famous animated films from Studio Ghibli. The designs capture Ghibli’s characters perfectly while giving them a classic 8-bit look. 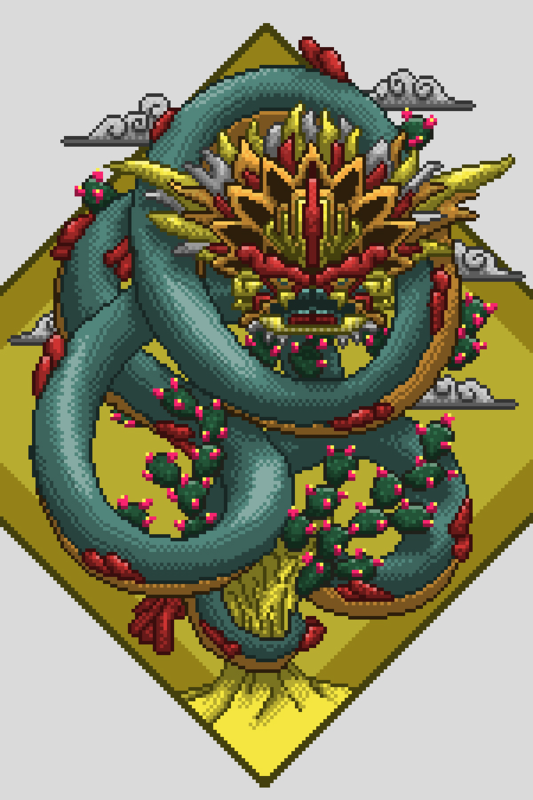 Mexican designer Mario Sifuentes creates pixel designs based on pre Hispanic gods with 90s video game style colour and imagery. His designs are remarkably detailed and equally as impressive. 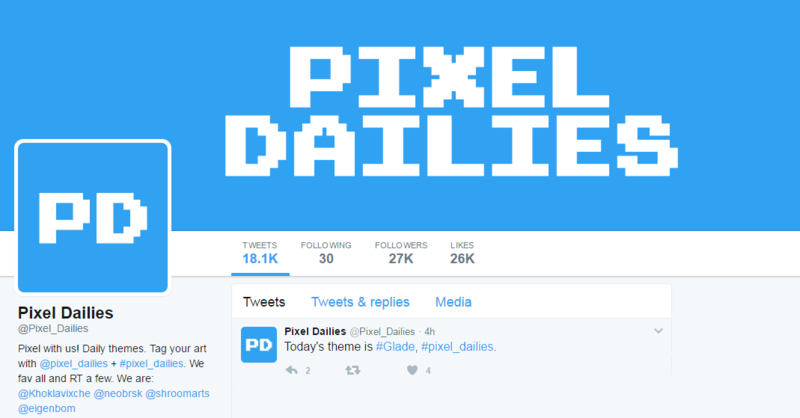 Ben Porter is a massive fan of pixel art and created the Twitter account @Pixel_Dailies to spread and share that love with the world. Each day he gives artists a new theme and they tweet at him with their 8-bit art style. 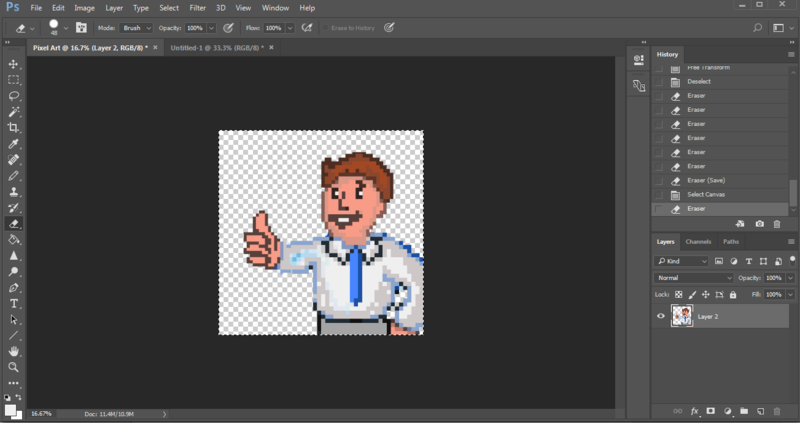 We’re going to be using Photoshop to create some classic 8-bit art, so open it up and create a new document. 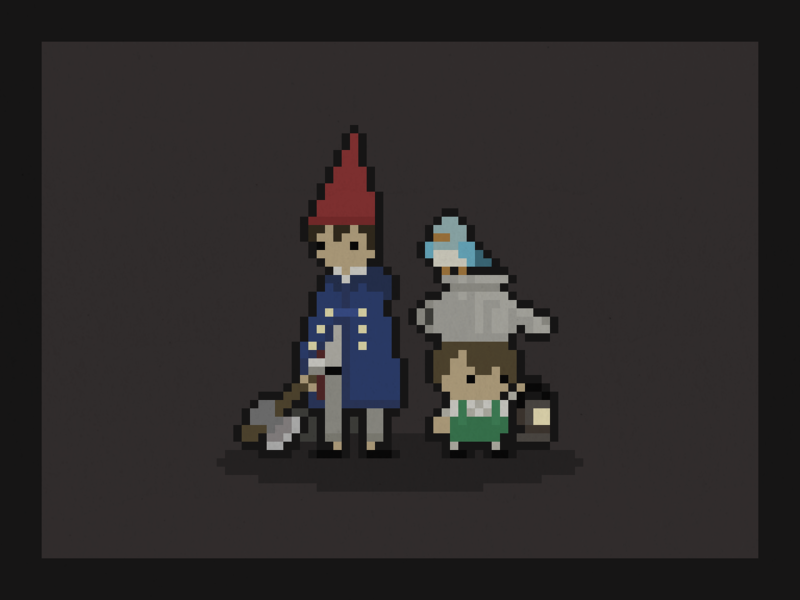 Since we’re just getting started with Pixel Art, it’s probably best to use a small canvas (which we’ll enlarge later). 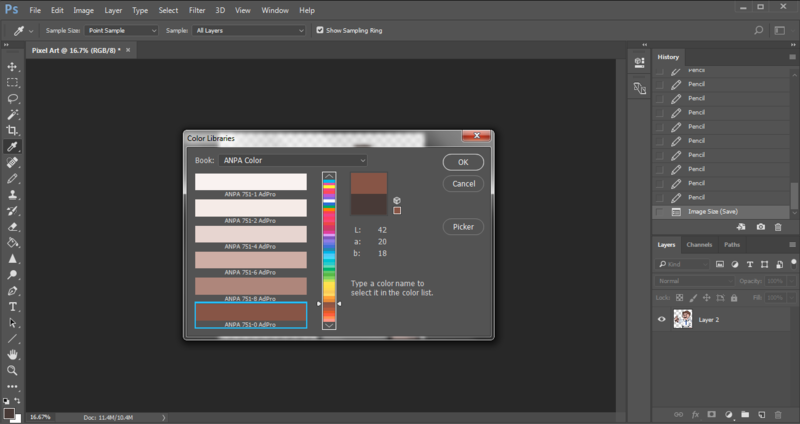 Go with 50 pixels by 50 pixels at 300 DPI. Take some time to practice making curved shapes and generally getting used to how things look when they’re all pixelated. Once you’re a little more comfortable with how it all works you can start creating your design. When you’re happy with what you’ve made it’s time to enlarge the image (because 50px by 50px is way too small for print). 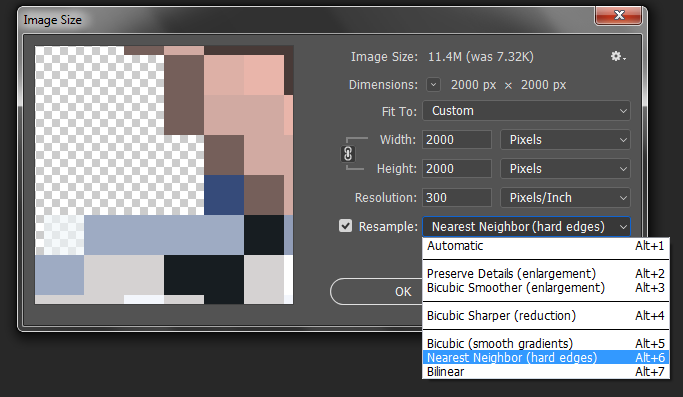 Then click on the dropdown by ‘Resample’ and choose the ‘Nearest Neighbour (hard edges)’ option. 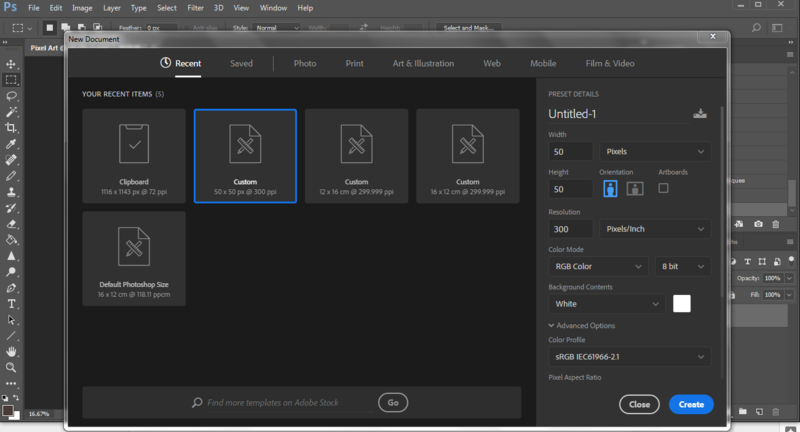 This will stop Photoshop from smoothing out the edges and creating curves instead of keeping that 8-bit charm you’re looking for. There you have it, your very own pixel art! The next step is to get a little more intricate with your designs by starting off with a larger canvas and adding in more detail. After you’ve created your custom 8-bit design, tweet it to our Twitter page or share it our Facebook page. We would love to see what you came up with.